Observation - House Sparrows - UK and Ireland. 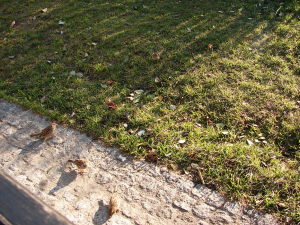 Description: These sparrows were very keen on some bread crumbs. These sparrows were very keen on some bread crumbs.